"I Tapped My Husband's Back" and Charles Aznavour's "What Makes a Man (Comme Ils Disent)" closed Act 1 of the 2014 run of TingleTangle. Here is video of this segment, one of my favorites to perform in the production. These pieces talk about societal, familial, and ingrained prejudices, as well as Love in various forms. I'll never forget performing and exploring these pieces—their words—the day marriage equality became a thing, which happened to be the closing performance of TingleTangle's second run! To say they took on an entirely new meaning would be an understatement. Theater Ninjas’ original production, TingleTangle, was an evening of personal storytelling, songs and conversations about sexuality, marriage equality, the many angles of oppression and the power of compassion. It reveled in the nuances of identity and how we all use performance to communicate our truest selves to the world. Monologues I wrote and performed, drawing on my experiences as a married gay man in Ohio, formed TingleTangle’s core. TingleTangle sold out and extended its run in Fall 2014, and returned in June 2015, poignantly closing the day marriage equality was fully legalized nationwide. Opening today and running through December 20th for 19 performances at Playhouse Square: The SantaLand Diaries! 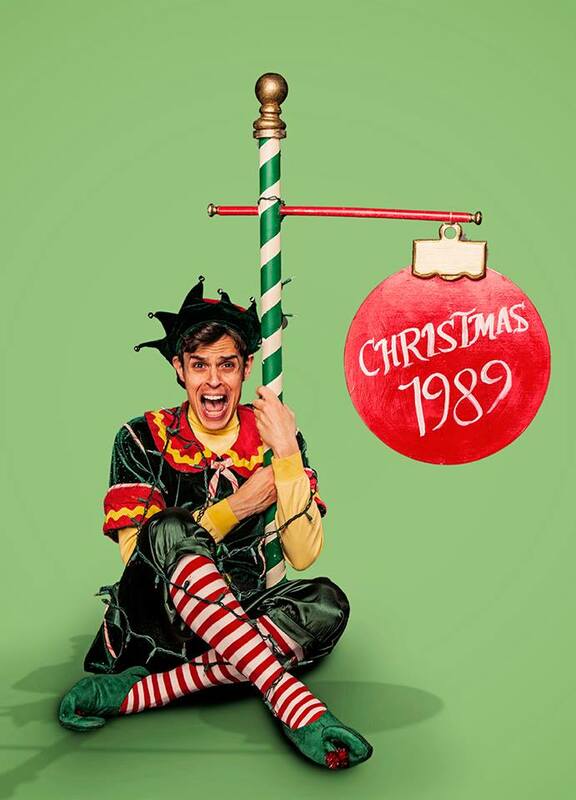 Produced by Cleveland Public Theatre, The SantaLand Diaries by acclaimed author David Sedaris is the semi-autobiographical story of a 33-year-old out-of-work actor who takes a job as “Crumpet,” a Macy’s Christmas Elf, in 1989. Crumpet’s hilarious recount of the trials and tribulations of the Holiday Season is sure to bring a smile to even the grouchiest face! Starring Ray Caspio. 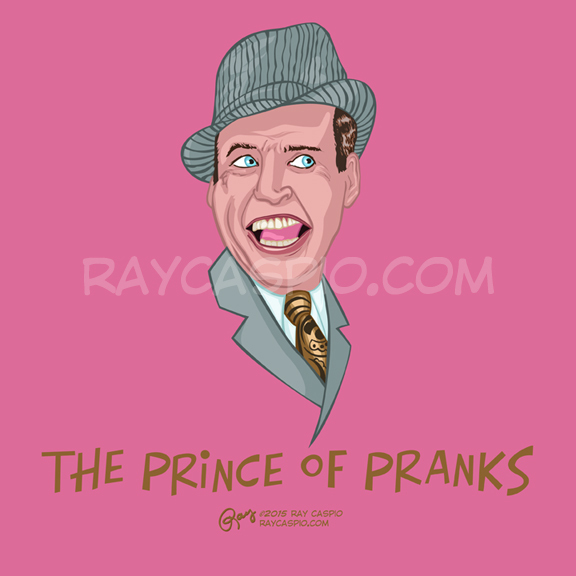 Thrillist Cleveland: "The one man tour de force Ray Caspio"
News Herald: Ray Caspio finds lots with which to identify in David Sedaris' "The SantaLand Diaries"
My new portrait of the icon that is Paul Lynde as Uncle Arthur from Bewitched. I'm excited to have him join my Oh, My Stars! series. "So don’t tarry. If you’re in the mood for a fascinating trip that will have you laughing out loud multiple times, get a zesty taste of gender and sexual transience in TingleTangle." "Ray Caspio...once again proves he is definitely an actor who is willing to take creative chances. ...intensely honest and unflinching...humorous, heartbreaking, and in many ways, heroic." "Ray Caspio...identifying pivotal moments in his sexuality that are painful, explosive, and heartwarming...opens his heart and his soul on this personal journey...Whether delivering slices of his life in dialogue or singing his emotional journey, the path of his sexual life is honest, beautiful, shocking, and inspiring. You have one more weekend of performances to go underground to reach your destination. You will come back up with a challenge to free yourself to be who you are."